Where does the year go? Three more weeks until Halloween, 78 shopping days until Christmas and only 50 more cooking (?) days until Thanksgiving. But with today's news that a pumpkin pie filling shortage may be looming, a drought in the West and news of food recalls, how safe are our favorite Turkey Day dishes? 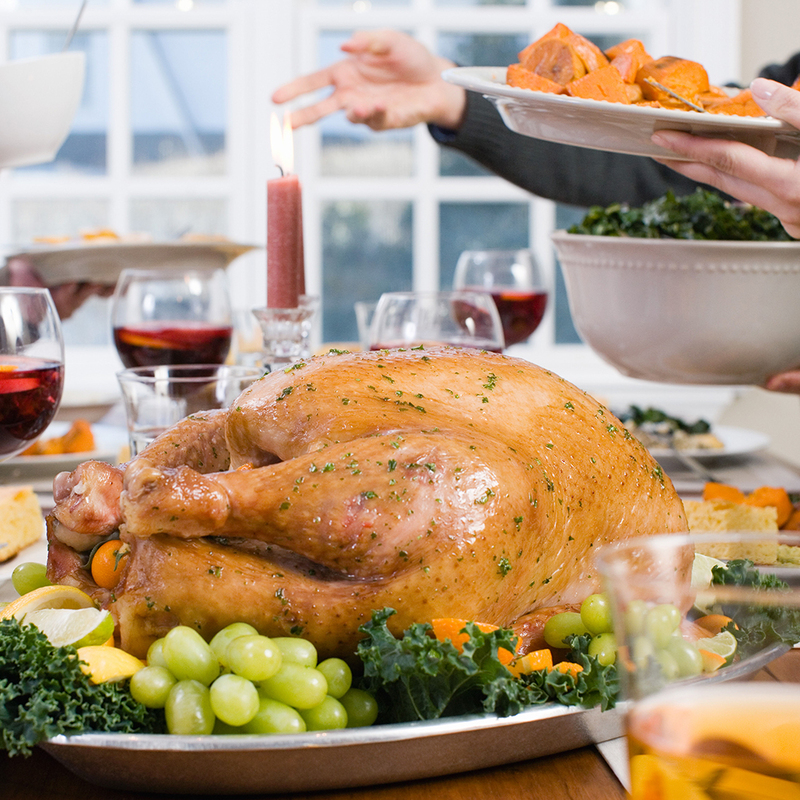 Here's a look at the potential threat level facing your favorite feast foods. What would Thanksgiving be without a perfectly cooked bird on the table? (OK, if it's my house, it wouldn't be Thanksgiving without an imperfectly cooked bird on the table.) Despite scares of low turkey production owing to Bird Flu earlier this year, and a recent shortage of turkey breast our nation's suppliers of fat, flightless birds assure us there are plenty stocked away for the season. As many have pointed out, the only thing that may be more American than apple pie is pumpkin pie. However, troubling news has come out from Libby's, the nation's leading supplier of pie filling: They're expecting a shortage. But according to reports, the harvest of actual pumpkins is still on track, so this year might be a good time to try homemade. One of the few ways to get a healthy vegetable on the table (disguised by a few cans of creamy soup and fried onions), this casserole is a beloved hearty side dish. Unfortunately, recent headlines point to a second recall of certain organic frozen green beans, and the California drought combined with bee colony collapse is yielding fewer (and therefore more expensive) almonds than usual. This side dish is still pretty safe, but be careful out there. We're currently in the peak of what is normally the cranberry harvest. A Michigan farmer says the lack of cold nights in September hasn't adequately shocked the crop, though, which ripens the fruit and gives it that signature red color. Still, this year's harvest seems to be safe and an extra week or two shouldn't matter, since those little buggers take a full 16 months to mature. Not only are mashed potatoes a requirement, they're often our Thanksgiving signature. Who makes them the best? Do you use cream, milk, butter or, like Paula Deen, all three? Are they plain, garlicky or infused with rosemary? Are whey whipped or are they nae-nae-ed? In any case, regardless of a lower than average rainfall to properly hydrate the soil for harvesting, according to reports, your taters are safe. There's no shortage of bread or spices that we know of, but the major threat to this holiday staple may come from within. How many more of your non-Celiac-stricken Millennial relatives will insist on a gluten-free meal? Stay alert (and make as much stuffing as you want anyway).